We wouldn't be where we are today without our incredible clients. We are thankful to our client for this awesome testimonial. Do you have a Business for sale? Please call on 0800 028 9999 and sell your business for its maximum value. For more testimonials please visit here. 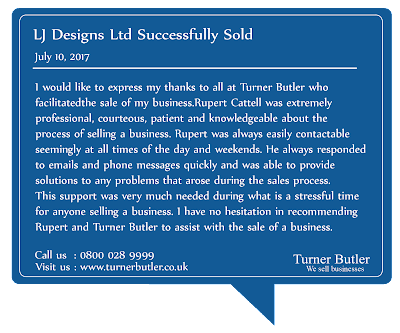 We're always proud when one of our clients says great things about us. Thank you so much for this awesome testimonial. For more such testimonials please visit here. Turner Butler is pleased to announce the sale of Sandra Davidson Estate Agents the leading independent estate agent in the Borough of Redbridge. Sandra Davidson Estate Agents was founded nearly 30 years ago by the Vendor. During her ownership the business has grown to become a significant estate agency with an enviable reputation with local knowledge and expertise. 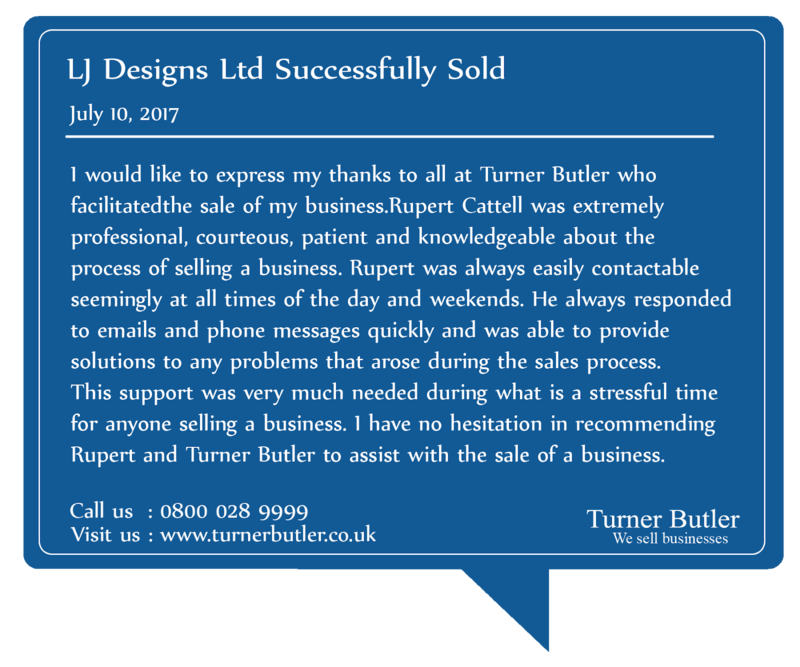 The Turner Butler’s research, marketing and negotiation to maximise value was most effective with 11 prospective purchasers introduced . Several proposals were received and a cash sale was ultimately agreed, the Vendor retained the freehold of the cash and carry, granting a new lease to the purchasers.